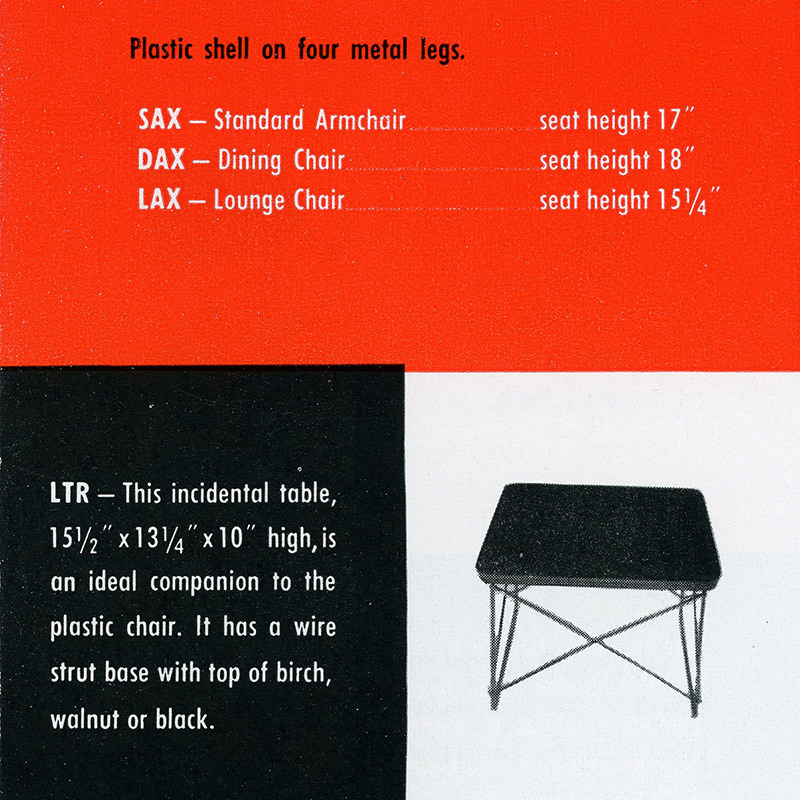 What is the Eames LTR side table? 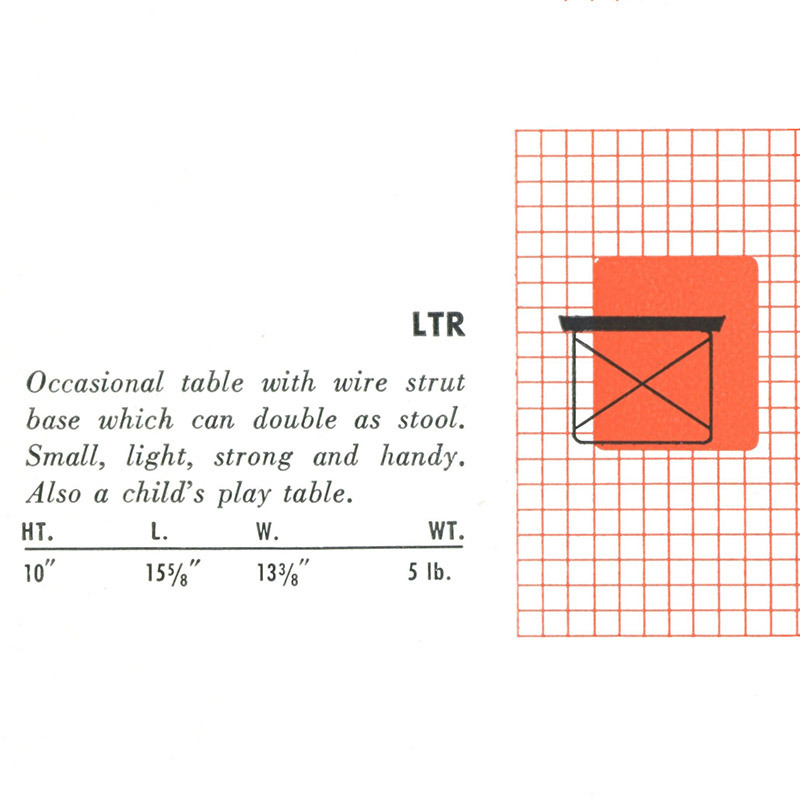 Released in 1950, the abbreviated LTR stood for the Low (L) Table (T) with Rod base (R). Following the success of the plywood group in the latter half of the 1940's, the Eames LTR side table would form part of a new and exciting wave of furniture designs which included the fiberglass arm series as well as the sister ETR coffee table. This new array of products would move further away from the traditional wood-based furniture of the past, utilizing new materials and producing previously unseen shapes and forms. 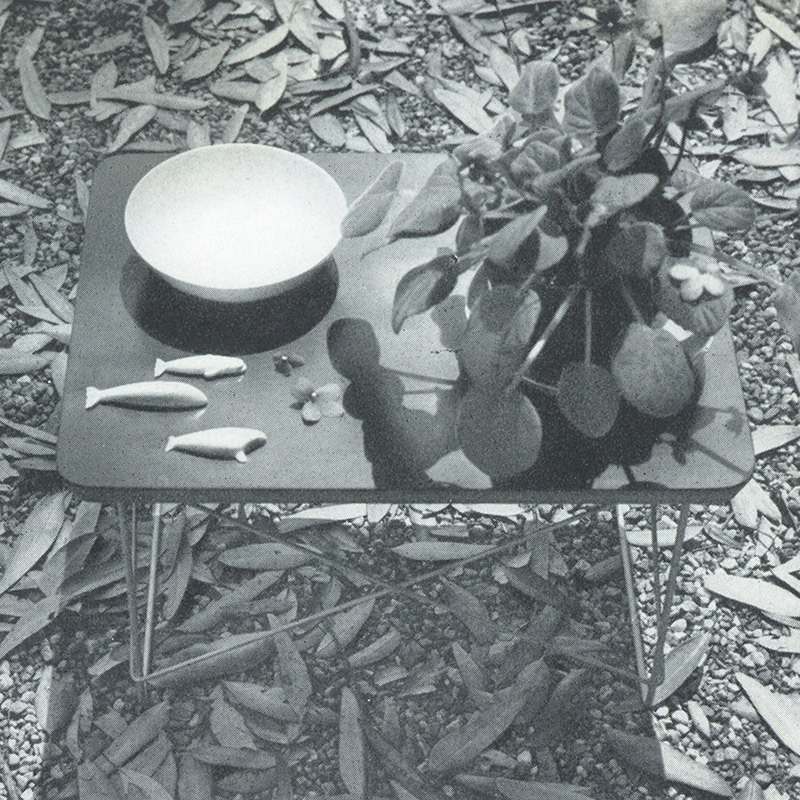 The Eames LTR lived entirely up to its name, with a very low height and small top, something one would expect to see in a Japanese Tea House. It was initially marketed as a handy side or incidental table which could even be used as a stool, due to the strength of the metal base and strong molded plywood form for the top. 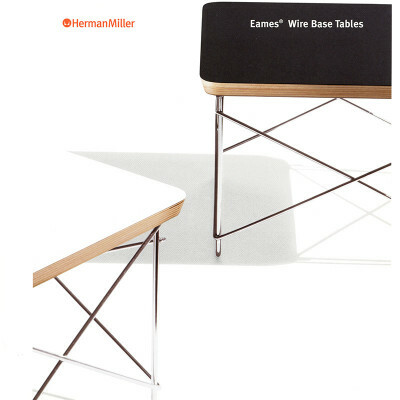 The bent metal rod base was a product of the experimentation process of the Eames Office in designing multiple base types for the Fiberglass chairs. 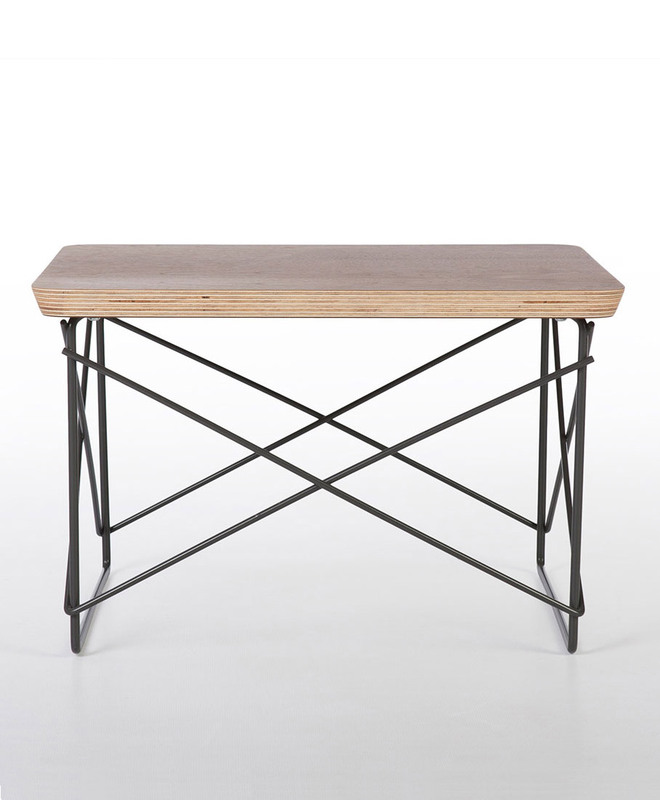 The welded steel frames proved to be very strong and durable and provide a modern contemporary visual look. 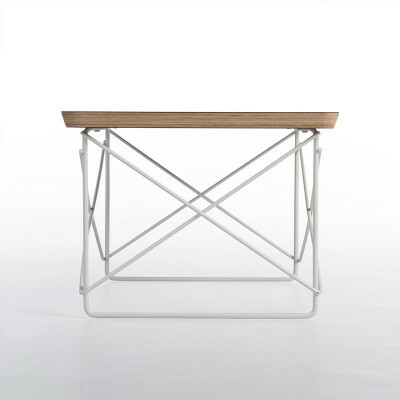 They were initially available zinc plated but also black and (later) white frames would also be used. 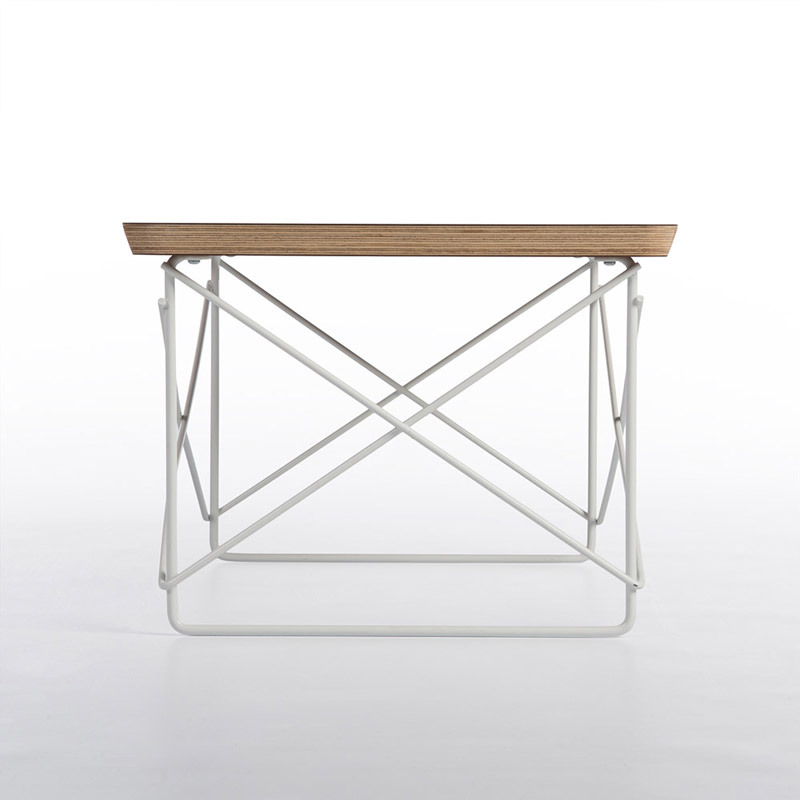 Upon release the Eames LTR side table was available in either a Birch, Walnut or Black veneer. As the 1950’s moved on more finishes would be introduced including the white laminate top. 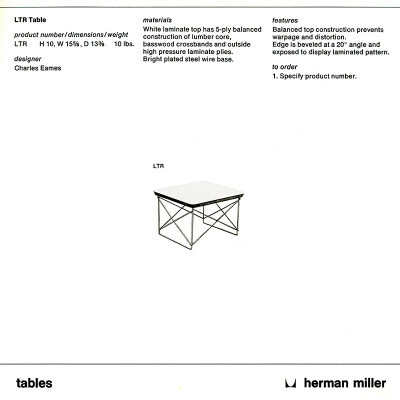 Into the 1970’s and beyond Herman Miller discontinued all but the white laminate finish until the mid 1990's when once again they started to manufacture the table with wood and laminated black as options. In 2012 the Formica company produced 8 special patterned laminates for the table, but they were only used as corporate gifts as opposed to general sale, making them quite rare finds. In the 2010's Herman Miller released the LTRT, an outdoor version of the table with black and white marble top options. 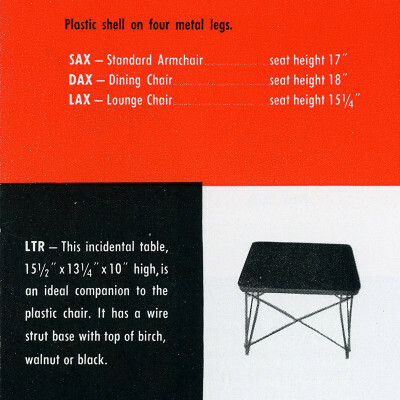 What were the original sizes of the Eames LTR table? 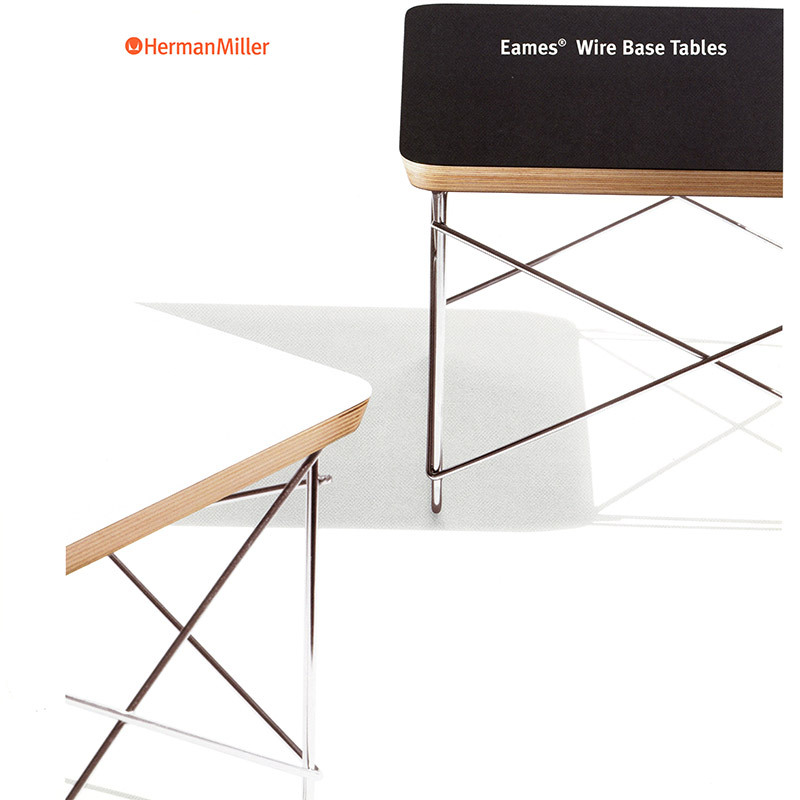 As with almost all the original Eames pieces, look out for the Herman Miller label on the underside of every top of an Eames LTR side table. Certainly with newer pieces there should not be any reason for the adhesive label to be missing. In vintage models, even if the label has been damaged or removed, look for residue of where one once would have been. Labels are always the number one method of authenticating. 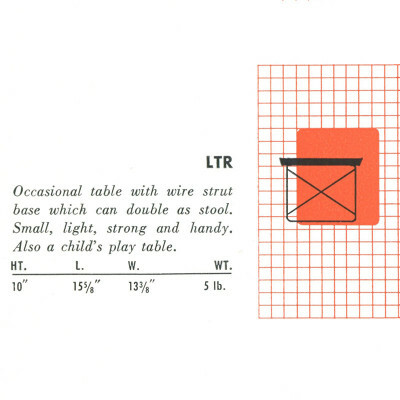 The LTR has been widely copied, especially over the last 10 to 15 years. Should a label be missing and the piece appear new, question as to why there is no label. If there is clear and evident ageing then this is a good sign when it comes to vintage pieces. There are many poor copies that use cheap chrome and layers of ply that don't match the original but there are better ones too. 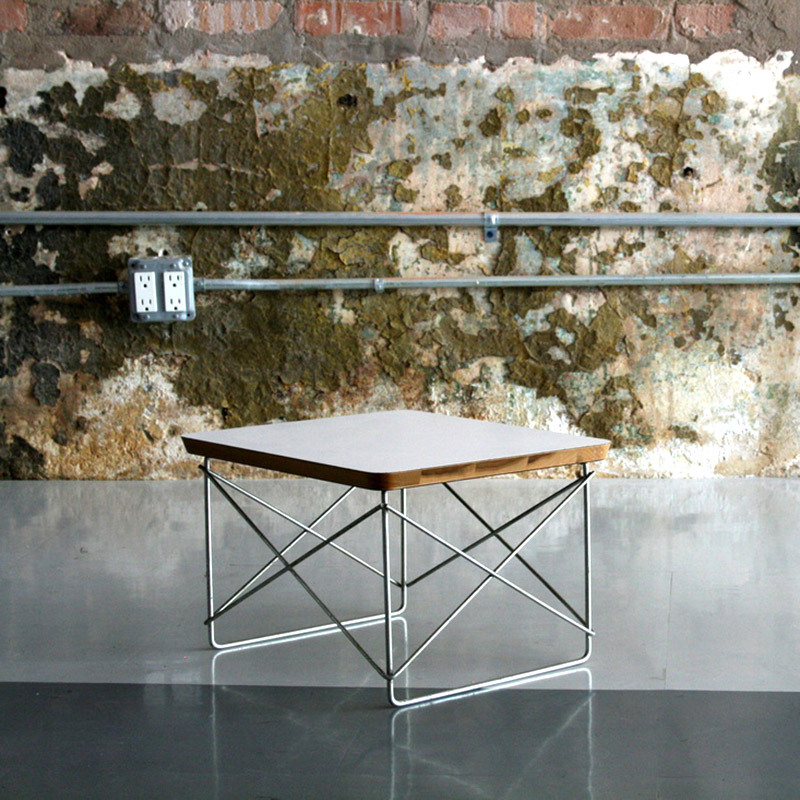 Early tables used 5 layers of ply, which you can count on the edge, later models (after the late 1970's) used 7 thinner layers. Counting these and matching with the age they report to be is another method of ensuring. The tops should also have a tapered 20 degree angle. 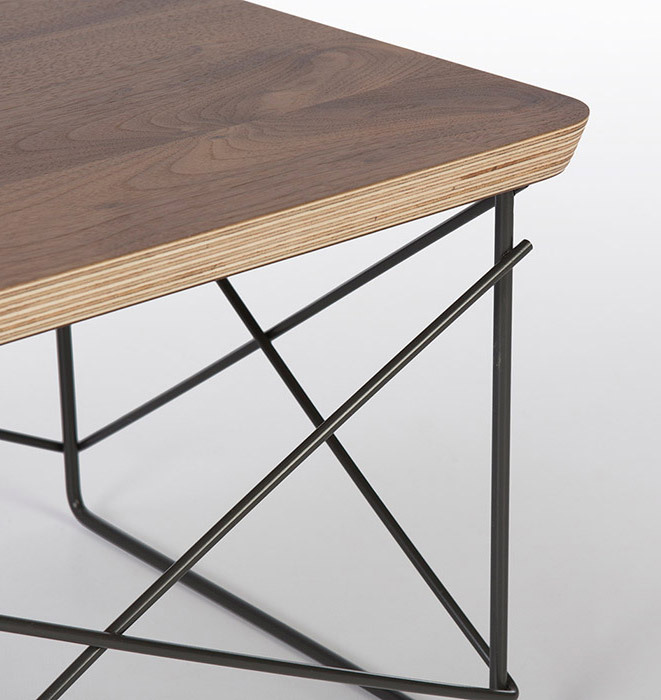 Early first release tables in Walnut, Birch and black are very sought after and tend to fetch the most value. Special tops in Santos and (more recent) marble will also be expensive. 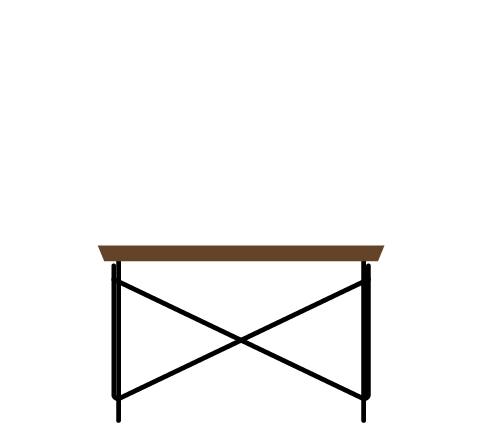 The most commonly found tops are those with white laminates. 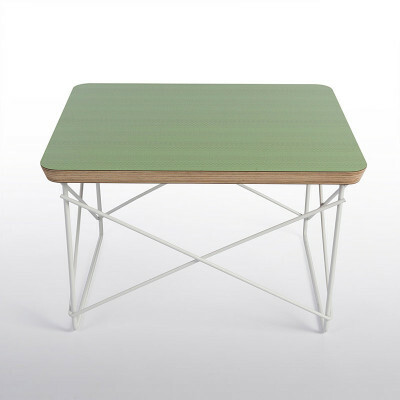 The special edition Formica versions will also get a good price. In the end, the condition will also determine the desirability of the piece.